Skimmers have been used by crooks for years to steal credit and debit card information during ATM transactions. The devices have traditionally been somewhat easy to spot given their sheer size but as technology advances and electronics get smaller, so too do ATM skimmers. 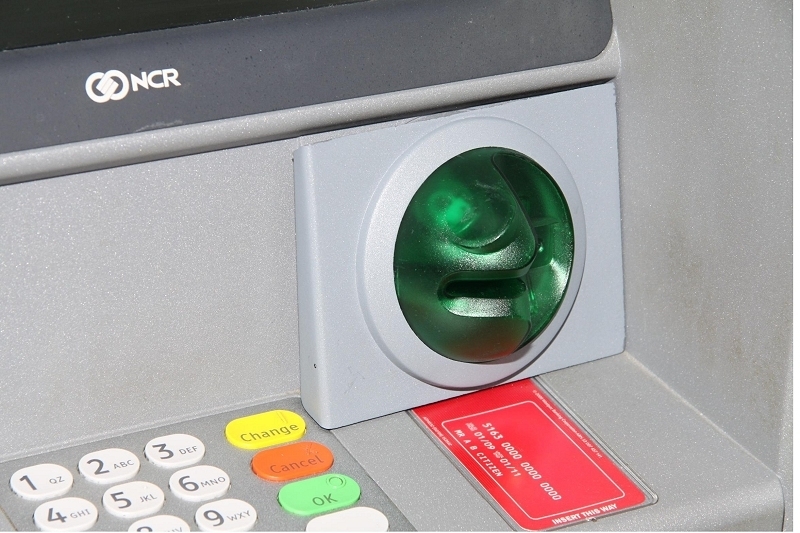 Krebs on Security recently took a look at some miniaturized fraud devices that were discovered to be in use at various ATMs across Europe this year. Whereas previous implementations were designed to fit on top of a machine's existing card slot, revised units like the one pictures below actually lie inside the card slot which makes them almost impossible to spot. Once your card is inserted, the device swipes the magnetic strip to steal your credentials. But what about the PIN number associated with the card? A tiny spy camera used in conjunction with the slot skimmer was able to capture each user's PIN number . As shown below, a false fascia was placed just above the keypad with a tiny hole to let the camera see as you type. As Krebs points out, one of the easiest ways to prevent such theft is to simply place your other hand over the keypad as you enter your PIN. Most users simply think that if nobody is around, nobody is watching. Of course that's not always the case as this example shows that cameras can be lurking virtually anywhere. It's an effective precaution that can be used virtually anywhere you use your debit or credit card and need to enter a PIN.